Save on Sundays with our online special for Johannesburg! Sunday in Johannesburg is funday! Spend one day discovering Johannesburg’s tourist attractions and its most picturesque spots and attractions. 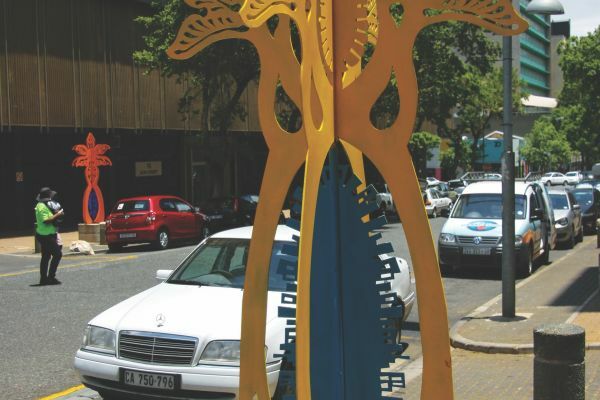 Hop on our Johannesburg Green Tour at Rosebank and explore the leafy suburbs around Zoo Lake stopping at all top attractions, including Zoo lake, the Johannesburg Zoo and the Military Museum, before reaching Constitution Hill. Change here to the Red City Tour and continue your journey around the inner city visiting the “Roof of Africa” viewing deck on the 50th floor of the Carlton Center, the James Hall Museum of Transport, Gold Reef City Theme Park, the Apartheid Museum, the SAB World of Beer or the Origins Center at Wits before returning back to Constitution Hill and ultimately back to Rosebank. You’ll soon see why Joburg is not only considered Africa’s economic playground but also one of the most wooded cities in the world. You see the strangest things in Johannesburg!